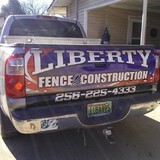 Liberty Fence offers quality fences at affordable prices! Our company was founded in 1979 by Jay Owens as a small family owned organization that focused on doing business the right way. Fast forward three decades later and the company has completed thousands of projects throughout the Southeastern United States in all industry sectors from small residential installations to large scale public works, government, and industrial projects. We realize that we are in the relationship business; therefore, as a result of our customer focus, most of our work is either from repeat customers or referrals. We understand the need to retool for future growth and success, so we have invested in backward integration by manufacturing our own chain link and custom gates. 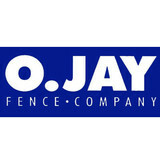 The company is still under the guidance of Jay Owens and is currently led by his sons who have become second generation fence contractors. The legacy of providing an above average customer experience and exceeding customer expectations continues. Tri-Group Builders is a family owned and operated company. We live in the areas we service and provide nothing but the highest quality service and craftsmanship. We believe a personal reference is the absolute best way to obtain new business, so we approach every job as an opportunity to grow. Your happiness and enjoyment of your outdoor space is our most important testament to quality. If you have a fence that needs service or are looking to install one on your business or residential property, call Integrity Fence LLC. 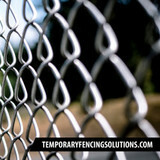 Since 2004, we have dealt with fences of all kinds. Our staff can handle installation, repair and customization on a variety of fence styles and materials. From decorative to purely functional, we can install a fence that complements your property and keeps it secure. We would love to add you to our growing list of satisfied customers. Give us a call today and unlock the possibilities. We are a Fence Company in the Anniston, AL area providing residential and commercial fence installation and repair, focusing on superior customer service. Since 1957, The Fence Place has gained a reputation in the industry that we are proud of. Our efforts are directed toward providing our customers with fence products that are both functional and durable, along with installation services for your security and privacy needs. We accomplish all of this while maintaining exceptional customer service and great quality workmanship. Your Chelsea, AL fence installation and repair professional will work with you to create your ideal fence. Find a fence contractor in Chelsea, AL on Houzz. 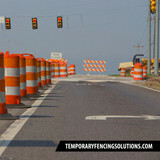 Narrow your search in the Professionals section of the website to Chelsea, AL fence contractors. You can also look through Chelsea, AL photos to find examples of fencing and gates that you like, then contact the professional who worked on them.